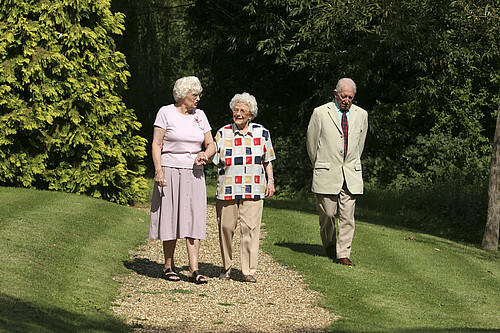 When an older person falls, it can have devastating consequences. Multiplied across the population, it’s a major public health issue. A third of people over 65, and half of people over 80, fall at least once a year. Falls are the most common cause of death from injury in the over 65s and cost the NHS over £2bn a year and over 4 million bed days. Nearly 9 million, or one in six people in the population in England was 65 or over at the time of the last census, and the figure is forecast to rise by another 2 million by 2021. At an individual level, falls are the number one precipitating factor for a person losing independence and going into long term care. A first fall can set in motion a downward spiral of fear of falling which, in turn, can lead to more inactivity, loss of strength and a greater risk of further falls. The human cost includes pain, injury, distress, loss of confidence and a greater risk of death – one in three people with a hip fracture dies within a year – though most of the deaths are not caused by the fracture itself but rather by underlying ill-health, of which the fall may be a sign. This is why falling is, actually, very complicated. It’s complicated because falls are linked to a range of risks, which often co-exist in older people. In fact, over 25 different risk factors have been identified from dozens of studies. They include medical conditions (Parkinson’s or dementia), the effect of commonly prescribed medicines, especially in combination (for example the medications for cardiovascular disease or depression), physiological changes (poor eyesight, loss of muscle strength and balance), environmental hazards (ill-fitting shoes, poor lighting, slippery surfaces) and lifestyle (excessive alcohol, physical inactivity). But while the problem is complex, it’s not inevitable. Falls are not a “normal” part of ageing and many can be prevented, using interventions that are evidence-based and effective. In fact, there have been over 200 randomised controlled trials of interventions for preventing falls in older people. Guidelines from the National Institute for Health and Care Excellence (NICE) highlight interventions that are likely to be beneficial. They include a programme of muscle strengthening and balance training, as well as a comprehensive risk assessment that includes the factors mentioned above (for example: a medication review, assessment of hazards in the home, assessment of visual impairment). There are data to suggest this could make a big difference: trials of exercise programmes, for example, have shown reductions in the risk of falling of between 35% and 54%. Of course, effective interventions, by themselves, aren’t enough. We need to support people to make use of them. There’s a role here for marketing and campaigning to raise awareness and create positive social images: strength training doesn’t just have to be about preventing falls; it can also be about having fun and staying connected. This case study describes the wider health and wellbeing benefits when falls prevention is part of an overall programme to support active living. We mustn’t lose sight of this broader context. Interventions to prevent falls are only part of the picture. If we’re going to improve the quality of life of older people, we need to think about what it means to age well and how all of us – as citizens, health professionals, relatives, and friends – help to create opportunities for older people to feel healthy, safe and connected. We need to take this long-term view because the foundations of healthy ageing are laid early in life. They’re laid down through healthy lifestyles, for example being active and not smoking. Healthy lifestyles reduce the risk of chronic disease in older age and build the confidence to stay active. These are all key factors in reducing falls in older people as well as contributing to overall health and wellbeing. Healthy ageing is also shaped by wider societal and environmental influences. If older people find their neighbourhoods hard to move around in, if they can’t get to public transport, if they’re scared to go out, they’ll restrict their activities. That’s harmful to their wellbeing, as well as being yet another risk factor for falling. We need to have a vision for our communities as ones that enable healthy ageing. By doing so, we’ll also be supporting other vulnerable groups: younger children for example, who need safe and welcoming places to play. Falls prevention in older people should be high on our public health agenda. This isn’t just because it’s a major population health problem that’s expected to increase with an ageing demographic. We should prioritise falls prevention because it’s the mark of a society in which older people are valued. Thanks for the blog and for identifying the many facets associated with ageing. I think clear and succinct messages are always key and they appear a number of times in the blog. I think social isolation is a factor that will increasing have a significant impact on ageing and falls and one that brings into the wider societal factors. I think the last sentence in your blog "We should prioritise falls prevention because it’s the mark of a society in which older people are valued" is a powerful message for us all to hear and take on board. And yet the retirement age has been raised to 70. Absolute madness. I think the age currently is 67 for men and 65 for women and always under review. Its not at present 70, although economically and with various infrastructure pressures could be substantially higher. The default or forced retirement age of 65 no longer exists. However the point is being active longer, and physically, do some activity is likely to reduce risk. That is what the above evidence suggests. Most work however, particularly desk based, is likely to weaken people physically and not help.